But personal affirmations on their own, they don’t create change. Kaizen does. It translates from the Japanese as change (kai) for the good (zen). And it comes with action. So, what is the origin of this big idea, and how can you implement Kaizen in your organisation? Why the Need to Improve? We always answer the ‘why?’ question. But really… do we need to do it here? If you aren’t improving, you’re getting worse. Many people equate Kaizen with Continuous Improvement, as if one is the translation of the other. This is not so. In fact, the word Kaizen can mean discrete or continuous change for the better. We shan’t go into the fine semantic distinction between ‘continuous’ and ‘continual’ improvement. However, in an organisational setting, Kaizen has acquired the meaning of continuous improvement. It is a long-term approach to managing processes, that tries to make small, incremental changes to improve efficiency and quality. Kaizen is systematic and we’ll look at how you can apply it, below. As Kaizen becomes embedded in a work environment, it becomes everybody’s responsibility. Indeed, it is the workers closest to a task that are best able to assess how to improve it. So, Kaizen is a democratic and empowering way to run an organisation. All employees, at every level, can suggest and implement improvements. The Kaizen philosophy rejects a status quo where everything remains the same. If your competitors are changing, so must you, or you will surely lose out to them. Continuous, incremental changes add up to big change over longer time scales. Kaizen can therefore match more disruptive approaches, without having to find and implement radical innovation. 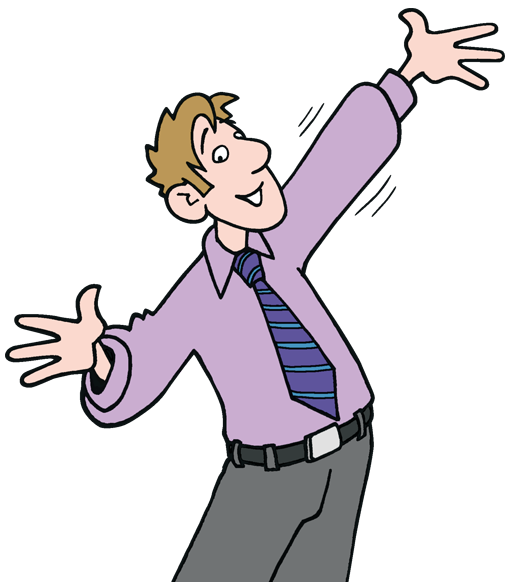 So, it can be a more gentle and less stressful approach to change, while still allowing a business to grow and adapt. We can therefore contrast Kaizen with something like Business Process Re-engineering, which takes a root and branch approach to overhauling operational processes. 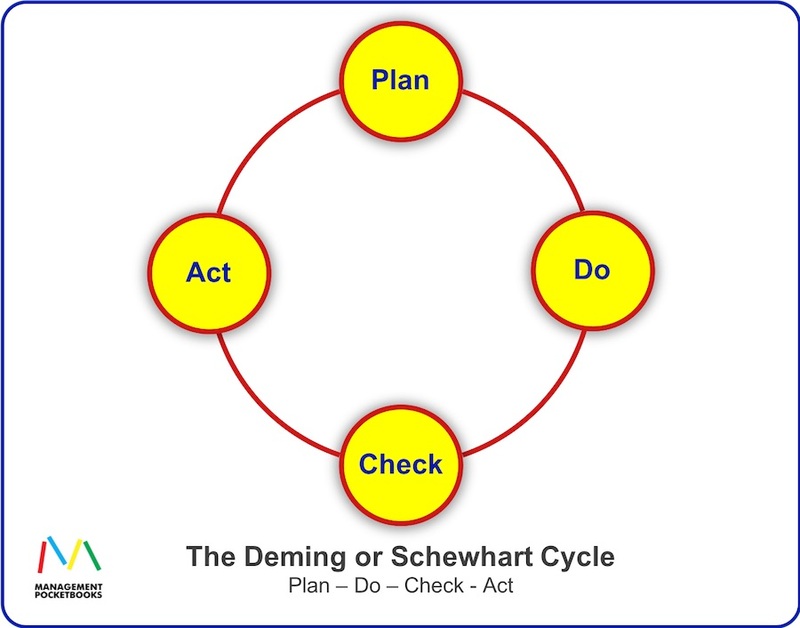 The thinking behind Kaizen was introduced into Japan under the Marshall Plan, by W. Edwards Deming. Emperor Hirohito honoured him for his work, and the impact it had on post-war Japanese manufacturing output. 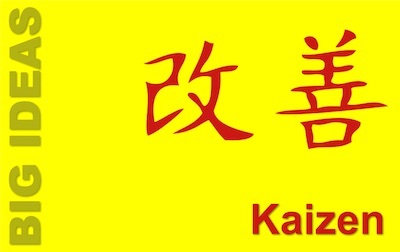 Kaizen was soon incorporated into the Toyota Production System. This led to its popularisation all over the world. Make it your mission to improve your products or services. It’s the only way to stay competitive, remain in business, and provide jobs. Build quality into the way you do things, so you don’t need to invest as much effort into inspection. Accept premium prices if they lead to a minimisation of total cost. Adopt whole-life costing for assets. Work to constantly improve quality and productivity, and thereby reduce costs. Use training to improve performance, and also to develop people to their full potential. Encourage leadership styles that help people to do a better job, and better use the assets they have. Fear inhibits effective working, and so has no place in a well-run organisation. Break down a silo mentality between functions. Barriers between departments and team create problems and make resolutions harder to find and put in place. Instil a sense of autonomy and pride in the work everyone does. Make everyone responsible for working to accomplish this transformation. We noted above that Kaizen need not be a continuous process. The word itself allows for discrete improvement. This is becoming a more popular approach. A ‘kaizen blitz’ or ‘kaizen event’ is a concentrated effort to make quick changes in a limited context. These are often focused on a specific short-term goal. A person who makes a big contribution to one of these Kaizen events gets the title of ‘Zenkai’. What is Your experience of Kaizen? 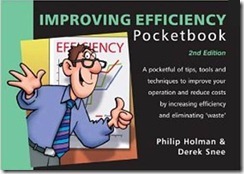 The Improving Efficiency Pocketbook is full of tips, techniques, and tools to improve your operation and reduce costs, by increasing efficiency and eliminating waste. * Note: Did you first encounter Coué’s affirmation in the words of BBC TV character Frank Spencer? Until recently, I thought the writers of the 1970’s sitcom ‘Some Mothers Do ‘Ave ‘Em’ originated it. Now I recognise it was a satire on the phrase (or maybe just a gentle dig at the character).